CONCORD, NH (January 17, 2019) The Greater Concord Chamber of Commerce invites members, their family and friends, and interested community members to join them on a 9-day journey through Spain’s Costa del Sol departing March 19, 2019. One of Spain's most popular tourist destinations, Costa del Sol stretches along 90 miles of the Malaga province. Visitors come for the striking landscapes, coastal sites, charming hinterland villages, rich cultural heritage, local food and the mild climate that makes it possible to enjoy the beaches and a variety of outdoor activities year-round. The Chamber’s tour will explore the towns of Granada and Ronda and take in historical sites such as the Alhambra Palace, the lush gardens of the Generalife, Nasrid Palace and Plaza de Toros, the oldest bull ring in Spain. Trip participants will have the chance to learn from experienced guides and exchange ideas with local business representatives, as well as the option to visit additional destinations including Tangier, Mijas, Gibraltar and Seville, and Madrid, Spain’s capital, for two additional post-trip nights. Special group rate pricing includes round-trip scheduled airfare from Logan Airport; personal airport and check-in service; first-class accommodations for seven nights; daily breakfast and five dinners; and round-trip transfers between airports and hotels. The Chamber coordinates all pre-departure orientation and travel documents for guests to enjoy a seamless experience, and is pleased to offer a reduced group rate. For more information or to register contact the Greater Concord Chamber at (603) 224-2508 or email vblake@concordnhchamber.com. 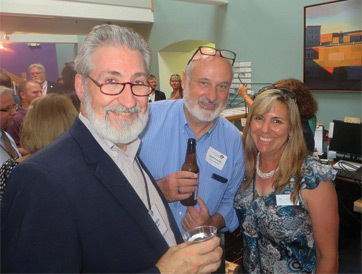 Incorporated in 1919, the Greater Concord Chamber of Commerce is the fastest-growing Chamber in the state with more than 900 members. Serving Concord, sixteen surrounding Merrimack Valley communities and popular tourist destinations in the Lakes and White Mountain regions, New Hampshire's state capital chamber of commerce develops economic opportunities, strengthens the business climate, and enhances quality of life in the Capital Region and beyond. 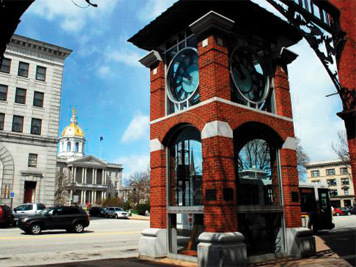 It is deeply invested in the local community and dedicated to shaping competitive economic development strategies, advocating for policies and projects that benefit the region, welcoming tourists to New Hampshire and promoting Concord as a culturally vibrant visitor destination. For more information please visit www.ConcordNHChamber.com.